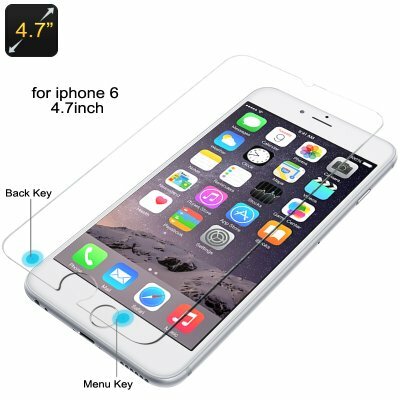 Successfully Added H9 Tempered Glass Screen For iPhone 6 And iPhone 6S - 0.3mm, Washable, Scratch Proof to your Shopping Cart. It doesn’t matter how careful you are with your phone, accidents can still happen. All too often a slip or unfortunate drop can result in your phones screen becoming smashed and unusable. To protect your phone against such an incident take advantage of these tough H9 tempered glass screen protectors. They take the brunt of any impact on your phones screen and as they are shatterproof will effectively disperse and absorb the shock to take the brunt of the damage and keep your phone safe. This H9 iPhone 6 Tempered Glass screen protector comes with a 12 months warrant. Brought to you by the leader in electronic devices as well as wholesale protective phone covers, Chinavasion..